Have you pondered opening a new Great Harvest bakery? Sure, there are many steps to opening a small business focused on whole grain breads, but with the support of Great Harvest Franchising, it’s not as hard as you would expect. Check out these 10 basic steps to opening the bakery of your dreams. Contact Great Harvest Franchising. Visit our website for specifics on how to get in touch with us about opening a new bakery or purchasing an existing store. Come to Dillon, MT for your Discovery Day. This is your opportunity to meet the franchise crew, learn about the services we offer and visit our training facilities. We want you to leave Dillon with no question unanswered about your potential new business. And, for many, today is the first time you’ll actually get to knead some dough! Meet your tracker. After you have been extended an offer and signed your franchise agreement, you will be assigned a tracker/trainer. 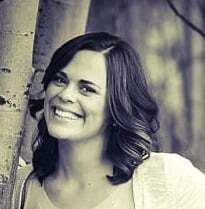 This person is your individual consultant and coach throughout the process of opening your new store. They are your workhorse and advocate in the franchise office and are vested in helping you successfully open the new bakery of your dreams. Find the perfect location for your new bakery. We rely on you to research wonderful locations in your area and then we send an experienced location hunter to your town to help you finalize your choice. This person will also coach you through negotiating and signing your lease. Purchase your equipment. Your tracker will help you pick out the perfect pieces of equipment for your new bakery from the big (like ovens) to the small (like bread design knives). Attend trainings in Dillon. After you have a signed lease, it’s time to attend trainings at the Dillon office. We offer two and a half weeks of hands on trainings including Sandwich School, Bread Week and Bakery Bootcamp. Dillon trainings have two primary objectives. First, we want our new bakery owners to feel comfortable running their new stores from the back end (production and inventory management) to the front (customer service and merchandising). Second, we want our owners to be good trainers themselves so they can sustain a strong and exciting bakery with a well-trained crew. Build the bakery of your dreams. Our bakery experts in Dillon will help you design the layout of your new bakery. We will combine our expertise and knowledge of bakery flow and merchandising with your vision to truly create the new bakery of your dreams. Market your new small business. We think opening a new bakery is incredibly exciting and we want you to shout it from the mountain tops that, “Great Harvest Bread Co. is coming to our town!” The franchise will help you create an individualized marketing plan to do just that and make sure that everyone knows your amazing products are coming to their town. Hire and train your amazing new crew. After your store is built and you’ve marketed your bakery, it seems like you’ll have people banging on your door wanting to work in your fun and exciting bakery! 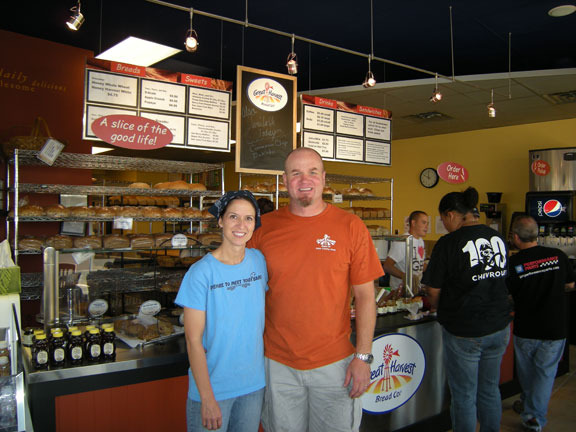 We encourage bakery owners to hire reliable and energetic employees. At your grand opening, trainers from the franchise office will spend three weeks in your store helping you train these new employees. Hold a grand opening! After your hard work to get your bakery set up, it’s time to have a very grand and exciting opening to invite the community into your new business and enjoy your amazing, healthy, whole grain breads and sweets. Again, you have the support of the franchise office at your opening to help you navigate any unexpected hitches. Opening a new Great Harvest Bakery is a fun and exciting process. You will watch your store transform from a shell with some equipment in it to a fully functioning, high energy, amazing smelling and joy filled whole grain bakery! Where would you like to open your new bakery?